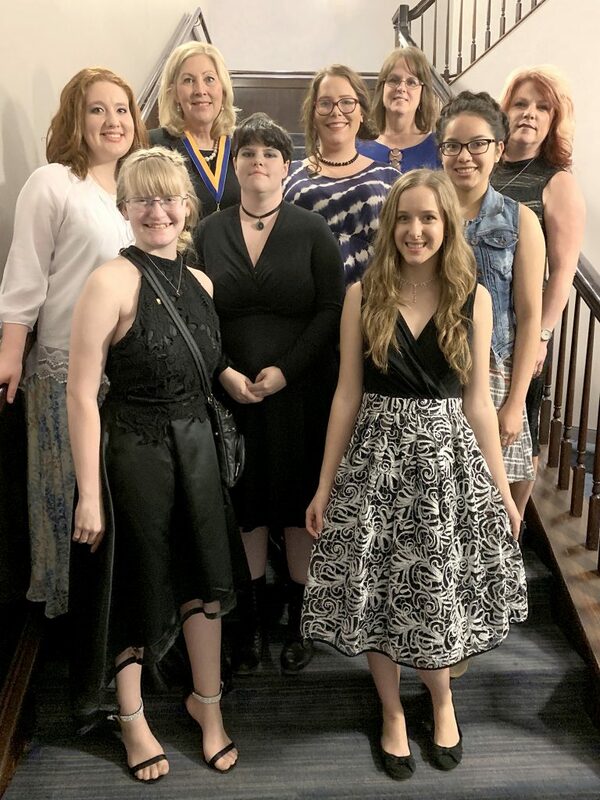 Paris Junior College’s Beta Zeta chapter of Phi Theta Kappa, the two-year college honor society, came away with several awards and recognition from the PTK Texas Region annual convention held recently in Houston. Beta Zeta members John Martinez, Joseph Lukula, Trinity Davis, Sophia Cunningham, Shannon Shepherd, Kareyn Hellman, and Jayla Oldfield received official recognition of their service. Joining Hellman, Shepherd, and Oldfield at the convention were members Tabitha Kelly, Kate Flores, and Emily Nance. 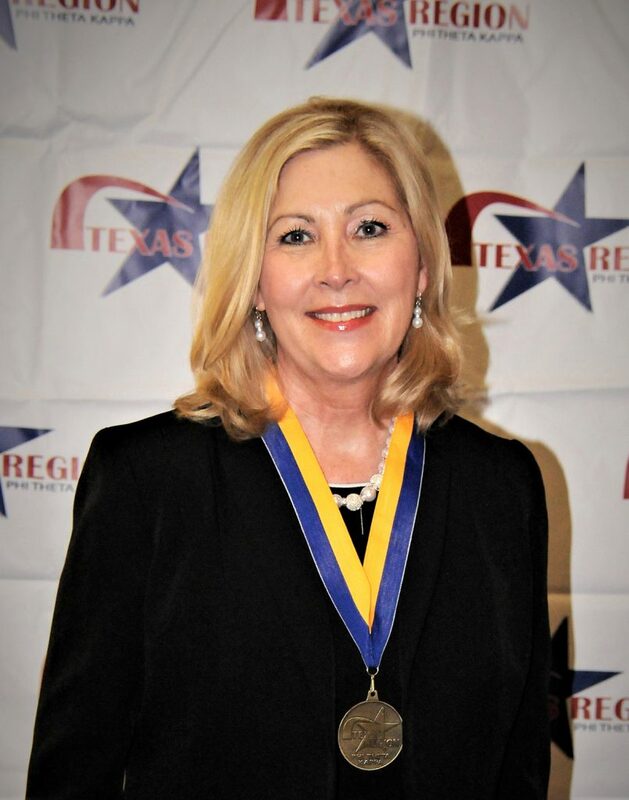 PJC President Dr. Pamela Anglin was inducted into the Texas Hall of Honor for Chief Executive Officers for the Texas Region of Phi Theta Kappa. College presidents are inducted into the Hall based on their outstanding efforts made toward promoting the goals of PTK to recognize academic achievement of college students and to provide opportunities for them to grow as scholars and leaders. PJC Geology Instructor and chapter advisor Trina Lubbe received the Horizon Award for new advisors who complete the Five Star Advisor Curriculum. Beta Zeta was honored with the Five-Star Chapter Award for building a strong, active chapter, attaining chapter goals, and enhancing the working relationship with the college administration by becoming active on the campus and in the community. The chapter also received an Honors In Action participation award. Honors in Action is an in-depth project based on a theme of the current Honors Study Topic. The “Food for Thought” project was part of both the Five-Star Chapter Award and Honors in Action. Beta Zeta tackled student food insecurity this year, manning information booths in the fall and distributing flyers on campus this spring. The goal was raising awareness that the Paris Metro bus and the Downtown Food Pantry were on the local bus route. Bus passes are available from the PJC Business Office and federal financial aid may be used to pay for the pass. At the fall information booths, maps of bus routes and information brochures on the food pantry and the Paris-Lamar County Health District services directory were handed out. The Downtown Food Pantry welcomes PJC students who bring their IDs on Tuesdays from 1:00 to 4:00 p.m.
For more information about PTK, contact club sponsor Melissa Arnold at marnold@parisjc.edu.